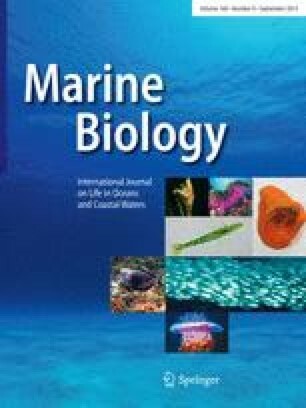 Biologically-active substances were investigated from 35 demosponge species and 5 calcareous sponge species collected from intertidal or shallow subtidal habitats near San Diego, California, USA, from 1978 to 1980. Crude methanolic extracts of each species were tested for suppression of growth by bacteria (7 species) and a yeast. Antimicrobial activity was found in 26 Demospongiae and 2 Calcarea. Strong activity was found in 11 demosponges and, subsequently, 38 natural products with antimicrobial activity were isolated from 8 of these species (Aplysina fistularis, Dysidea amblia, Leiosella idia, Euryspongia sp., Toxadocia zumi, Axinella sp., Haliclona?cinerea and ?Pachychalina lunisimilis). Twenty-eight of these natural products (usually as pure compounds) were assayed for: (1) suppression of growth of marine fungi (3 spp.) and a red alga; (2) behavior modifications of invertebrate adults (4spp. ); (3) toxicity to a goldfish; (4) inhibition of sexual reproduction of a brown alga; (5) inhibition of settlement and/or metamorphosis of late larvae or invertebrate juveniles (4spp.). Many of the natural products were also incorporated into pelleted fish food and tested for feeding-behavior modifications of fishes (5 spp.). Three of the compounds from Dysidea amblia were inactive in all tests. All other natural products were active in at least one assay, although none was active in all assays. The discussion relates the possession of biologically-active substances to the ecology of each sponge species; for example, sponges with antimicrobial substances are rarely overgrown.